"There is only the America that can't believe how bad this guy did in the debate." Stewart said the deeply divided nation finally agreed on something: how poorly Obama performed during the presidential debate. “There is no red America, there is no blue America, there is only the America that can’t believe how bad this guy did in the debate,” Stewart said, referring to President Obama’s debate performance. 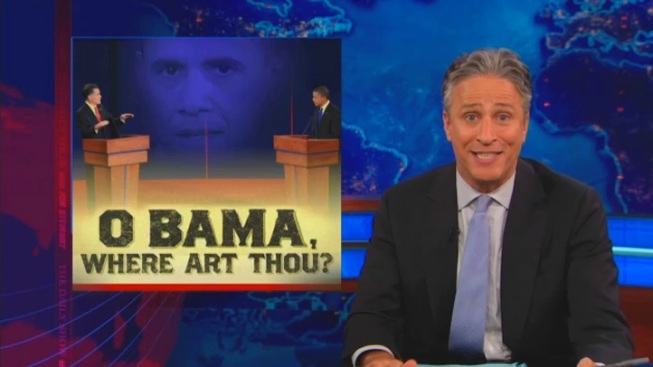 Stewart said Obama’s performance was so lackluster that the president lost, despite Romney’s "lying" on issues and his willingness to cut funding for PBS and Big Bird.